Pandora has been around for a long time and still remains the most popular music streaming service available. It’s easy to use and sounds great on both desktop and mobile devices. Plus, the Music Genome Project has great suggestions for your stations, and these suggestions update regularly, so you’ll never be bored with your stations. Enter an artist in the search box; Pandora will automatically create a station based on this artist. Click on the “thumbs-up” to tell Pandora you like a certain track. When you click on “Add Variety,” you can add other artists to your radio station. Click “Shuffle” to get a quick mix of your stations. Should I Upgrade to Pandora One? Pandora One is Pandora’s paid service that annually costs $36 (or $3.99/month). All advertising is removed. With Pandora One, you get higher quality audio, unlimited listening hours across devices, and access to the Pandora One Desktop App. One thing nice about Pandora is its simple user interface. Not only does Pandora showcase album art with lyrics and song information, but you can “Buy” tracks and “Share” tracks with a click. When you use Pandora Radio and its Music Genome Project, you get a wonderful music experience. If you pick Deadmau5, you’re going to get more Deadmau5, plus more electro-house to choose from. You pick Slayer and you’re going to get more Slayer, plus more 80s and 90s thrash-metal hits as well. Pandora used to place limits on the amount of free music you were allowed to listen to, but things have changed. Now users have the option to listen to “unlimited” hours of music. Plus, one new feature on Pandora Radio is Pandora Premiere, which lets you stream an entire album before it’s released — definitely something to look into. Pandora is still the leader in radio station music streaming, but this could all change when Apple’s iTunes Radio is released with iOS 7 this fall. 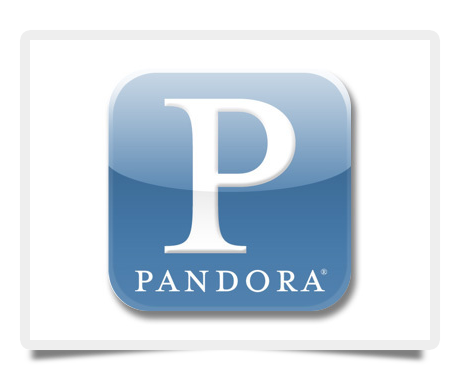 For now, Pandora One Radio is available at a reasonable annual rate of $36 per year. It is customizable, and it has incredible features with better-than-average sound quality when it comes to music streaming.